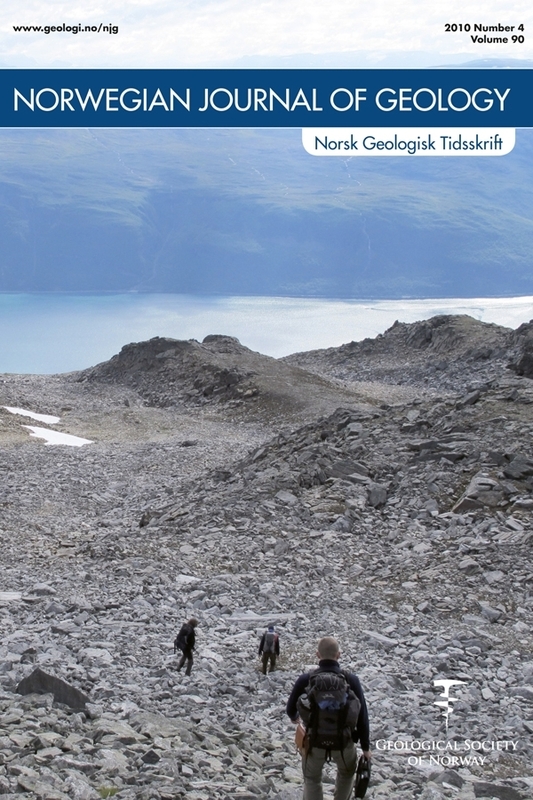 The outer mid-Norwegian margin is characterized by strong breakup magmatism and has been extensively surveyed. The crustal structure of the inner continental shelf, however, is less studied, and its relation to the onshore geology, Caledonian structuring, and breakup magmatism remains unclear. Two Ocean Bottom Seismometer profiles were acquired across the Trøndelag Platform in 2003, as part of the Euromargins program. Additional- land stations recorded the marine shots. The P-wave data were modeled by ray-tracing, supported by gravity modeling. Older multi-channel seismic data allowed for interpretation of stratigraphy down to the top of the Triassic. Crystalline basement velocity is ~6 km s-1 onshore. Top basement is difficult to identify offshore, as velocities (5.3-5.7 km s-1) intermediate between typical crystalline crust and Mesozoic sedimentary strata appear 50-80 km from the coast. This layer thickens towards the Klakk-Ytreholmen Fault Complex and predates Permian and later structur-ing. The velocities indicate sedimentary rocks, most likely Devonian. Onshore late- to post-Caledonian detachments have been proposed to extend offshore, based on the magnetic anomaly pattern. We do not find the expected correlation between upper basement velocity structure and detachments. However, there is a distinct, dome-shaped lower-crustal body with a velocity of 6.6-7.0 km s-1. This is thickest under the Froan Basin, and the broad magnetic anomaly used to delineate the detachments correlates with this. The proposed offshore continuation of the detachments thus appears- unreliable. While we find indications of high density and velocity (~7.2 km s-1) lower crust under the Rås Basin, similar to the proposed igneous underplating of the outer margin, this is poorly constrained near the end of our profiles. The gravity field indicates that this body may be continuous from the pre-breakup basement structures of the Utgard High to the Frøya High, suggesting that it could be an island arc or oceanic terrane- accreted during the Caledonian orogeny. Thus, we find no clear evidence of early Cenozoic igneous underplating of the inner part of the shelf.